Milestones aren’t really our thing on the Lambcast, but I had an idea for the 300th show that was just too good to pass up. Lambpardy! has been a staple of the Lambcast since the early days, and over the show’s run so far there’s been a total of seven winners, but which of them is truly the best? There can really be only one way to find out! Last year we celebrated the movies of 1984 with our 1984 Movie Draft. It was a great show, but the only problem was that Jay the host hadn’t seen very many films released in 1984, because he’s a child. Thus, it was clear we had to do a draft from a year he was more well versed in, so we chose 1999, because it’s The Year That Changed Movies . Who knows what will happen on a Roll Your Own Top 5 show? LAMBCAST #261 WHATCHA BEEN WATCHIN’ LATELY? WBWL shows, in which we each talk about a movie we’ve seen recently, have a tendency to head down tangents that no-one could possibly expect. So brace yourself, is what I’m trying to say. Also, whilst we normally post with an “Explicit” tag, this week we really, really mean it. The Oscars are still fresh in our memories, and it’s been a while since we’ve done an actor draft, so this week on the Lambcast we’re pairing those two things together and having a draft involving two well-remembered Oscar winners, Ben Affleck and Matt Damon. Do you have a burning movie-related question you need answered? Are you confused by the popularity of a recent Disney hit? Maybe you’re curious as to the sexual proclivities of Hollywood stars, or want to know how to break into the movie business. Then you need Ask the Lamb! 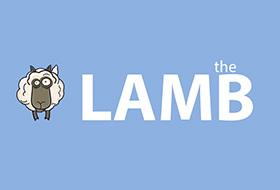 LAMBCAST #227 LAMBS IN CHICAGO! The results are in, and the people have spoken! It’s Roll Your Own Top 5 time everybody! And it’s just as unpredictable as ever. Host Jason Soto was joined by Nick Jobe, Bubbawheat and The Vern to talk re-imaginings, twins, fairy tales and the 90s, although as always the lists tended to divert quite a long way from the mainstream.